BlackBerry Curve more popular than the iPhone? | BlackBerry Blast! BlackBerry Blast! > News > BlackBerry Curve more popular than the iPhone? BlackBerry Curve more popular than the iPhone? 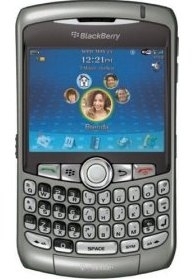 According to AvianResearch L.L.C., the BlackBerry Curve was the most popular phone in the US for October. We've heard other reports that the iPhone is clearly the sales winner, but AvianResearch says it's the BlackBerry Curve. AvianResearch gets its data from its Monthly Retail Store Survey, which is based on "responses from 100 service representatives and store managers at retail stores of the four major U.S. wireless carriers (AT&T Mobility, Verizon Wireless, Sprint Nextel Corp. and T-Mobile USA Inc.)"
Is AvianResearch correct? We don't know but you can check out their Top Ten most popular handsets at the link below. You may be surprised.